Eublemma minima, as the species name suggests, is one of our smallest species in the superfamily Noctuoidea (FW length 7 mm). 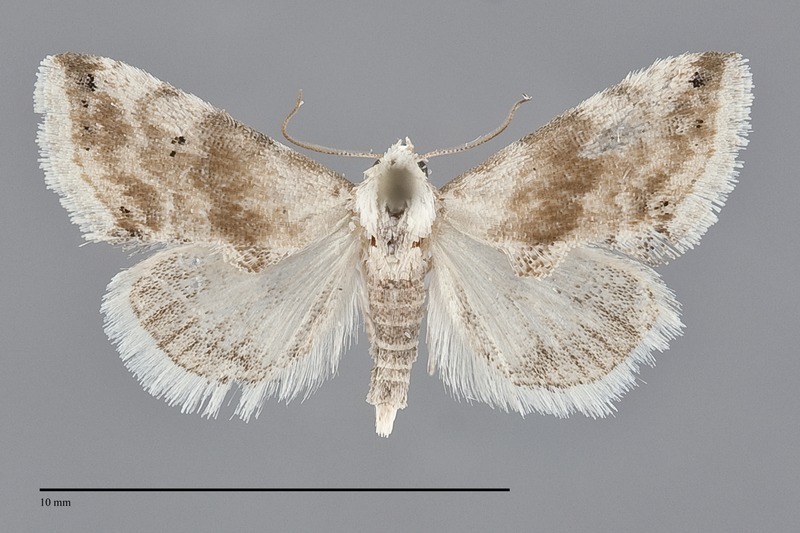 The wing has a flange along the posterior margin, similar to those of some of our much larger species of prominent moths (family Notodontidae). The ground color of both wings is white. The forewing is suffused with medium dark brownish gray, heaviest in the median area and near the margin. The reniform spot is two small black dots, and there are additional black scales in the terminal area. 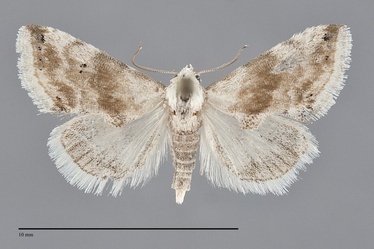 The hindwing is peppered with darker scales, but the fringe is pure white. The head and thorax are white. 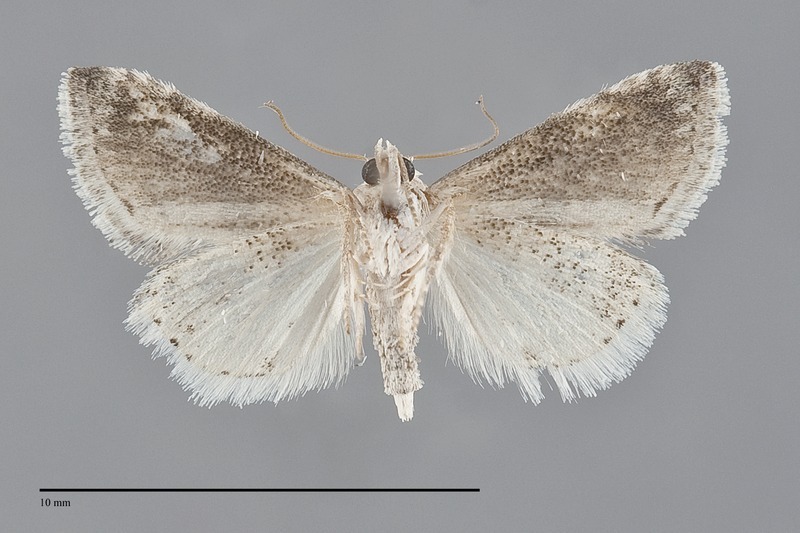 This species can be identified by its white color, small size, and distinctive forewing shape. This species is widely distributed across the southern United States in more open habitats. In the Pacific Northwest, it appears to be narrowly limited to open grasslands and oak savanna at low elevations in southwest Oregon. Eublemma minima is restricted to southwestern Oregon in the Pacific Northwest. This species is widely distributed in the New World, occurring across the southern United States north of Mexico. Its range extends into South America and it is also found in the Caribbean. This species is a foodplant specialist feeding on the flower buds of Asteraceae, particularly cudweed (Gnaphalium).